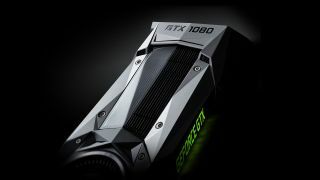 Nvidia came under fire over the weekend for allegedly gathering personal data from its users via the telemetry monitor in Nvidia GeForce Experience. Some of the more conspiratorial posts on the Internet believe Nvidia is sharing this data with the NSA. However, it appears that the suspicions were largely unfounded, and Nvidia is simply gathering fairly innocuous data on games and hardware. Nvidia's GeForce Experience is software designed to keep your PC updated with the latest drivers, and it also has tools for monitoring your hardware and adjusting game settings accordingly. Nvidia also provided a statement on the subject, saying "NVIDIA may share aggregate-level data with select partners, but does not share user-level data. The nature of the information collected has remained consistent since the introduction of GeForce Experience 1.0. The change with GeForce Experience 3.0 is that this error reporting and data collection is now being done in real-time." Nvidia told Gamer Nexus this "aggregate-level data" refers to " information about a group of users rather than an individual. For example, there are now 80 million users of GeForce Experience." GN did some further digging, just to make sure. The GeForce Experience is looking at your system hardware, the games on your PC, crash/dump files relevant to the GFE and Nvidia drivers, and it's checking the settings of the games on your system. Packet transactions in and out of the GFE were monitored, and they "almost entirely consist of calls home... with additional GETs for images," used for game box art within the software. For now, it appears Nvidia is doing nothing out of the ordinary, nor is it breaking any of its policies by gathering data on your system. Any data it is gathering isn't personal, and it isn't being released outside of the company. Angry minds can be laid to rest for the time being.